1) “ Samachiththo babuva ha”--- Write the two meanings. 2) Who is a nithya muktha and who is a nithya badhdha? 3) What objects should we not use in a temple? 5) “ Na rodayathi Mam Yogo Na sankhyam”—Will the Lord be inaccessible for yogis and hermits who are engaged in tapas? 1) The true disciple’s characteristic will be to consider the Guru as God and serve him. 2) Prema bakthi is born of sadhana bakthi. 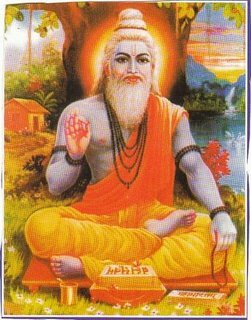 3) Perforimg Nishidda karma is vikarma and sanyasa ( renunciation) is akarma. 5) The yugadarma of Kali is Namasankeerthana. Hence saints are born out of this desire to sing on the Lord. 3) More you desire, more is the suffering. More you give up desires, more is the happiness. 4) The gnanis ( wise) and children are devoid of worries.